The image on the right in the graphic below is the iconic image of what is called deterministic chaos. To understand the mathematical construction of that image (called a map) requires beginning with the graph of the quadratic equation y = x2 + c, as is shown in the image on the left (c = -1.3). 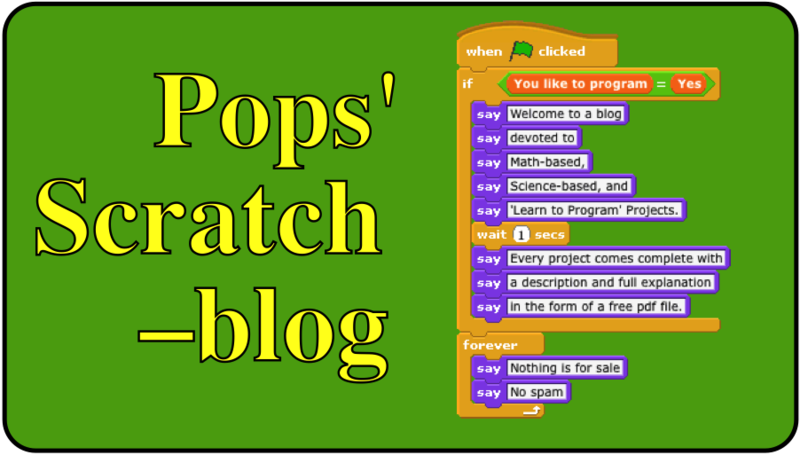 To simplify the process of how you get from the parabola to the map, I’ve written a series of four Scratch projects. The two concepts needed to understand the transition are the concept of iteration and the concept of a mathematical attractor. The first project looks at a linear equation and computes a single attractor of x = 6.
y = (x + 6)/2 – A Mathematical Sink Hole can be seen at the following link. The next project plots the attractors of the quadratic equation y = x2 + c by plotting on the parabola and on the y = x line (the definition of iteration line). x2 + c Plots can be seen at this link. This project drops plotting the parabola, stores the iterations in a list, and lets you scan the list for patterns in the attractors. 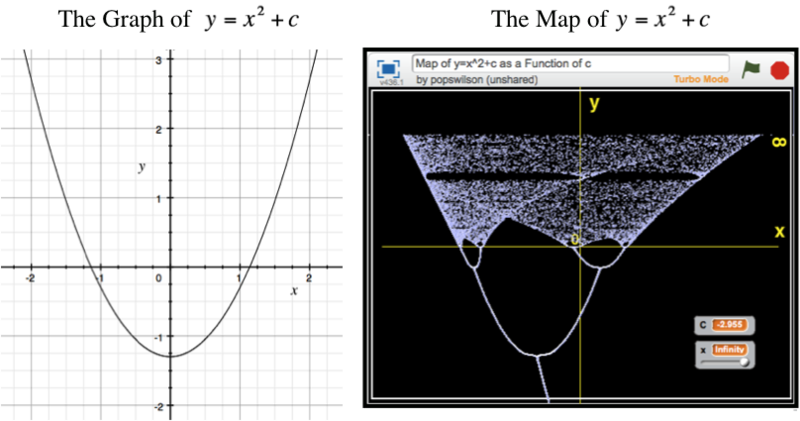 The Attractors of y = x2 + c is at this link. The last project in the series plots just the x values of each iteration for successive values of c beginning with c = -0.5 until c < -2. Map of y =x2 + c as a Function of c.
A free pdf file containing more information about the mathematics and coding in each project is available on request at grandadscience@gmail.com.